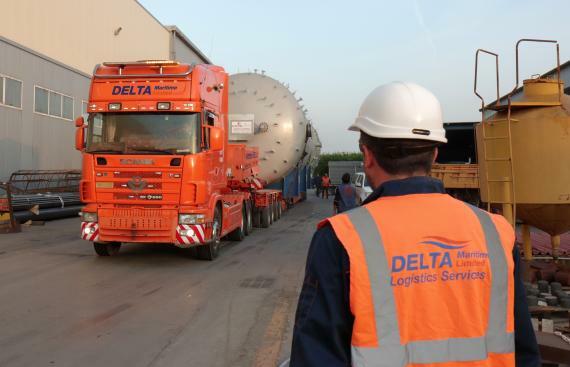 Greek members, Delta Maritime have recently undertaken the land and port logistics in Thessaloniki of cargo with a destination of Jebel Ali. 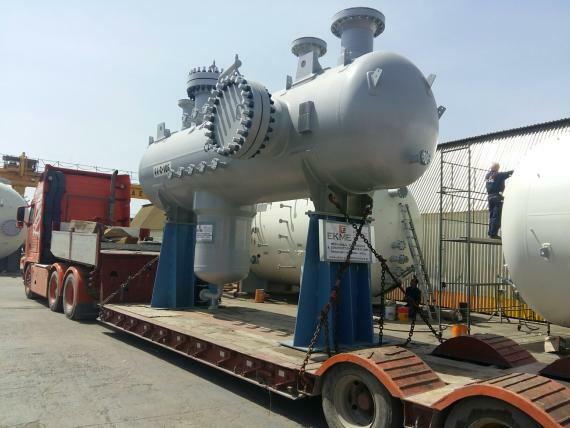 The cargo was manufactured by EKME SA in Greece and is to be part of the Jebel Ali Refinery Expansion Project. The shipment consisted of 4 large pieces and 6 wooden boxes holding accompanying material for the setup of the pieces and the installation at the destination. 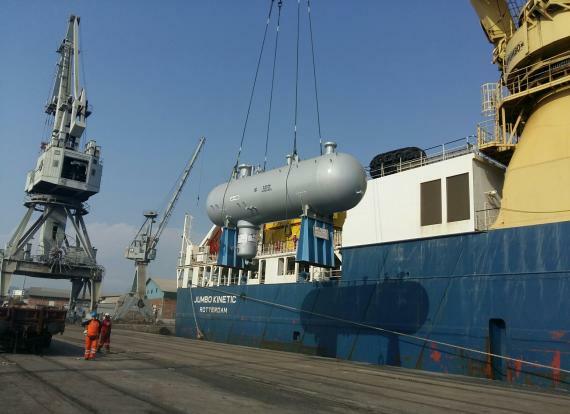 All cargo was loaded on 4 special low-bed trailers and was delivered from the manufacturer's site in Sindos to the Port of Thessaloniki. 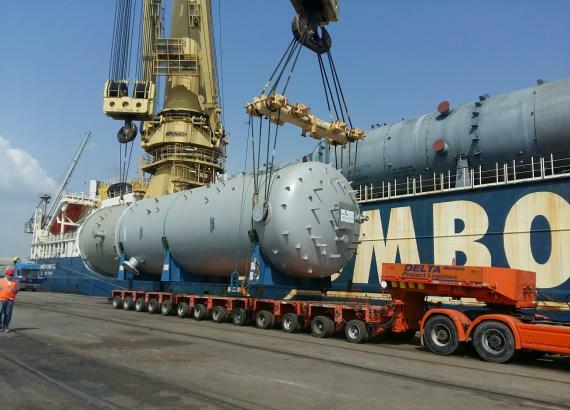 Customs formalities for the valuable cargo was completed one day prior to the vessel's arrival to ensure a prompt departure. 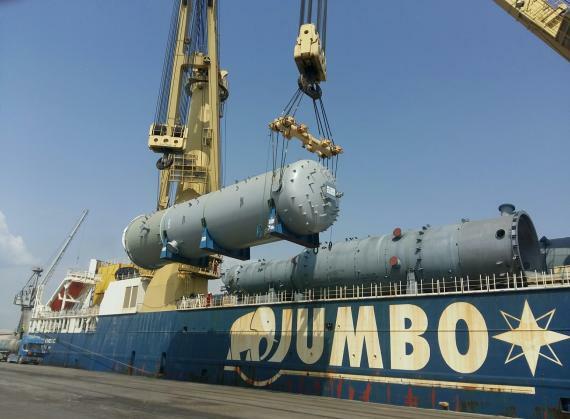 The trucks loaded with the cargo were alongside during the docking of the vessel and the loading was completed within 4.5 hours. Galanis Asterios of Delta Maritime comments; "Any undertaken task can be successfully completed safely and on time when everybody involved including truckers, the vessel, dockworkers and our own team operates professionally and is committed to following the highest safety standards". Please click here to view a video of the operations and see the gallery below for photos.